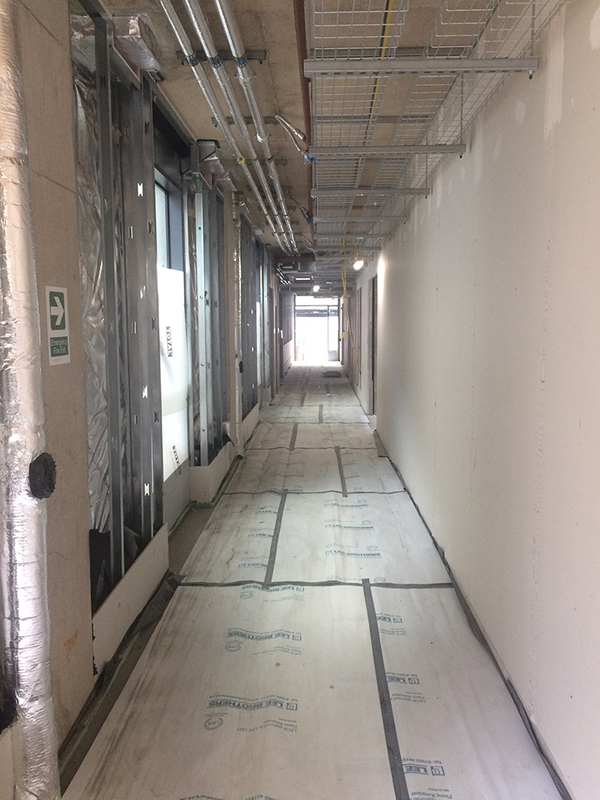 In July, works to the school’s internals have continued with the ground slab being screeded ready for the new floor finishes. 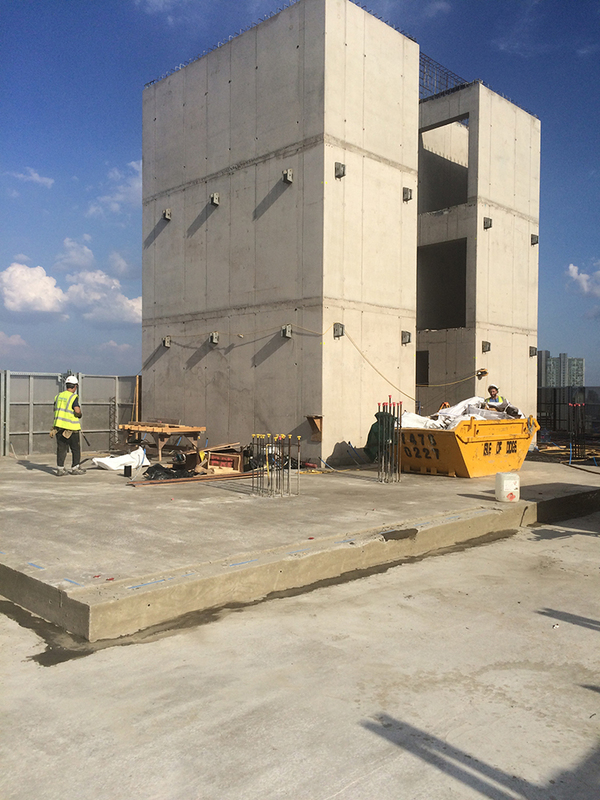 The tower’s core has been completed and the formwork used to give the concrete is shape has been removed. The concrete floor slabs have reached Level 26. 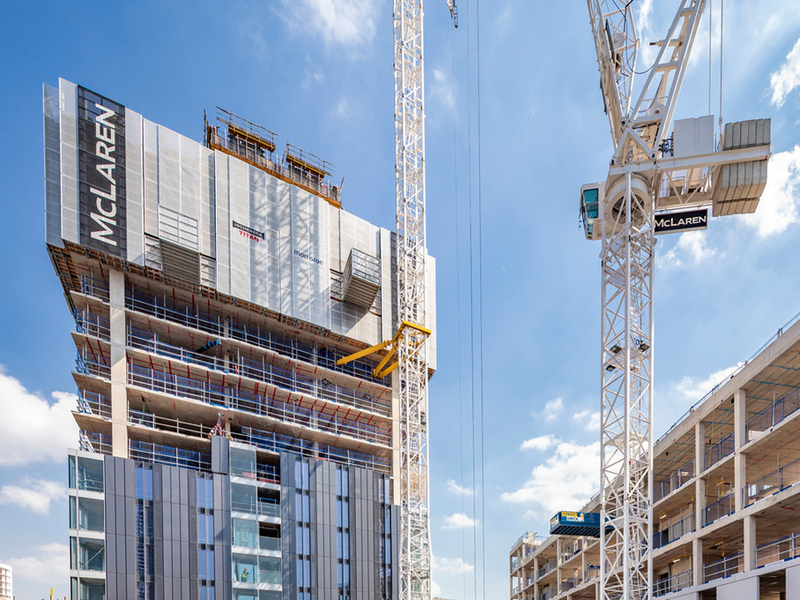 The tower’s cladding installation is progressing well with Level 13 now enclosed. During August, the tower floor slabs will be completed. 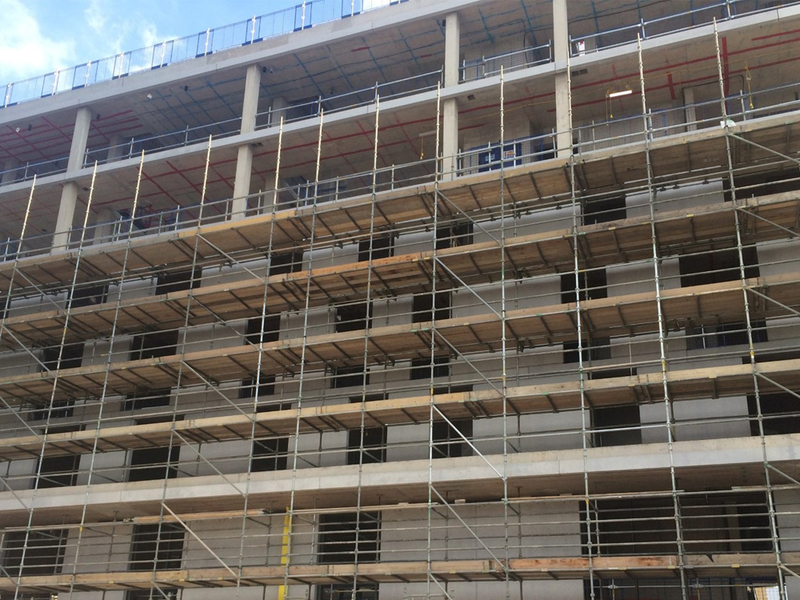 School internal works will continue and façade works to the Nile Street Block will progress with windows being glazed. The site will begin its preparations for switching over onto permanent power within the new substations. As part of our support programme to encourage young people into the construction industry we hosted a work experience placement on site for a week. He thoroughly enjoyed his experience with us working with the operations team and is now considering a career in construction. 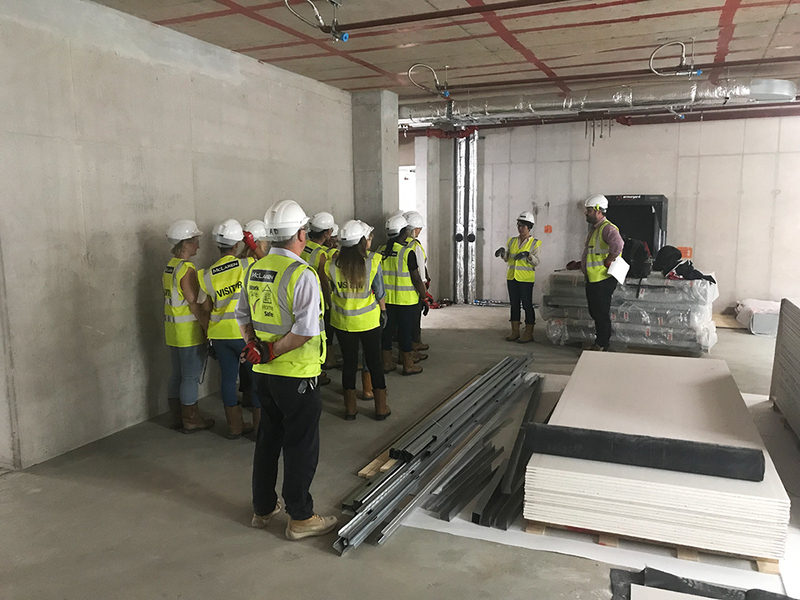 A site walk was held for the teachers from New Regent’s College to have a look at the progress we have made in the school over the last few months.